Five years ago, Petty Officer Orion “Wicked” Cross met and fell secretly in love with CIA officer Katherine “Kat” Harrington, and their mission together went bad. Even though Wicked wasn’t at fault, Kat blamed him and they parted bitterly. Now she’s missing and regardless of the bad blood between them, he’s going after her like he would any other hostage. Maybe it’s time to clear the air and put their past behind them. But it all rides on an unforgiving woman, who’s been honed and jaded by many missions, yet his heart has never let her go. Kat is on her own personal mission and having to be rescued by the one man she wants to avoid only adds fuel to that inner fire. She still blames him for her fiancé’s death and has never given him a chance to explain or mend fences. Except on this mission where nothing seems to go right, they find themselves thrust together on the edge of mortal danger where the lines between combatants tend to blur. 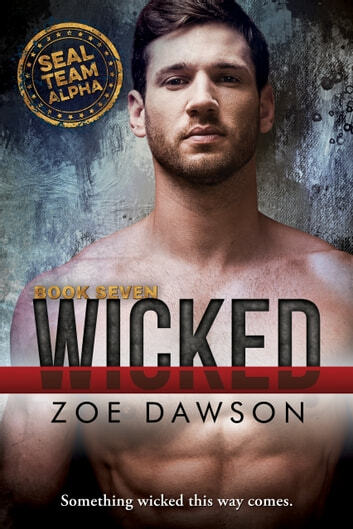 With Wicked constantly on her six, invading her personal and professional space, could the truth about what happened change her mind or tear their fragile love apart?